****UPDATE (12/05/2016)**** This property won the award for best restoration work in Lehigh Valley for 2016! See cityline-takes-home-four-awards for details on the award! On a cold January afternoon, a fire originated on the South-West side of this building. The flames engulfed the living room and kitchen, completely destroying them. Firefighters responded quickly to the fire and were able to put out the flames before they got worse. The fire resulted in severe smoke damage throughout the rest of the property and debris in various adjoining rooms as well. Thankfully no one was harmed in the fire and the fire did not spread to the rest of the home. Cityline was hired to perform emergency services and to help with renovation of the home. Our first goal was to provide local housing for the family in one of our nearby properties to help lessen the impact of the fire on their daily lives. Our next goal was to clear out the salvageable possessions in the home to be meticulously clean off in offsite climate controlled facilities. Unfortunately, quite a few items were lost in the fire. We work with the family and the insurance company to provide a suitable list of the items lost so the family could replace them. 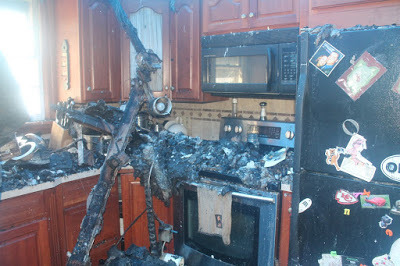 The damage to the home was extensive and affected all parts as well. 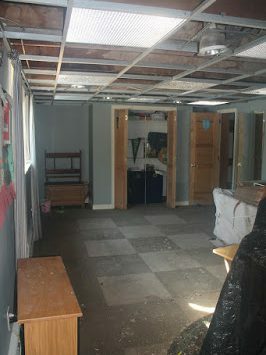 The living room and the dining room were determined to need complete demolition and reconstruction. 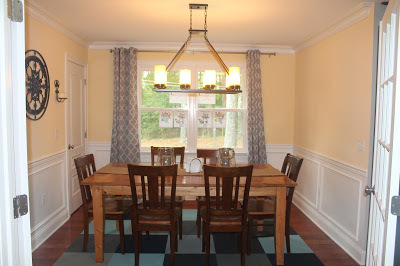 Our team and the home owners saw this as a perfect opportunity to customize the home to the family’s liking. The home owners sat down with our in-house architect and redesigned their home to meet their current needs and to give it a more modern feeling. One way we did this was by moving around the rooms that were previously there to have them laid out in a more intuitive manner. The bulk of this work can be seen in the new guest bedroom. Our architects redesigned the layout of the home by taking a bedroom and hall bathroom a putting them into one room for any guest’s convenience. This along with the new paint colors and windows would help make any visitor feel like royalty. The living room also got an overhaul during the reconstruction. 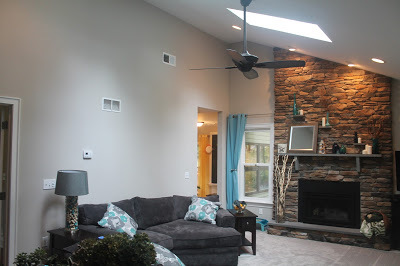 The biggest desire of the family was to add more windows into the room to help bring in natural light and open up the room. 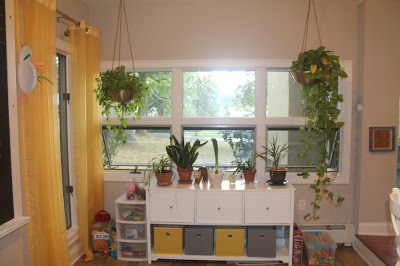 We also added a doorway that connected the kitchen to the living room to open up the home as well. All of this helped bring the living room to life. 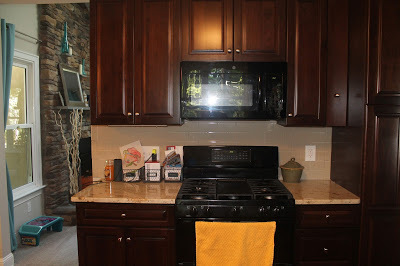 We also remodeled the kitchen to maximize the space efficiency and energy efficiency. 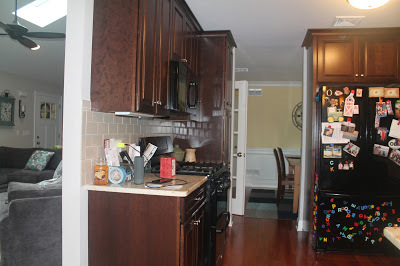 Our interior design experts and the family did the former by creating more counter space in the kitchen and by adding in more cabinets. 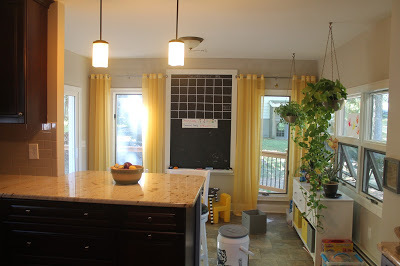 The kitchen also had added a peninsula counter-top which looked into the sun-room and created a breakfast bar seating area for family mornings. Our crews achieved the latter by adding in better insulation, more efficient electrical wiring, an energy efficient refrigerator and windows that keep in the heat during the winter. We finished giving the room the modern touch by updating the counter-top material and adding in new light fixtures. One of the best renovations was of the hallway; it was changed from the dark corridor it used to be and into a vibrant elegant pathway. 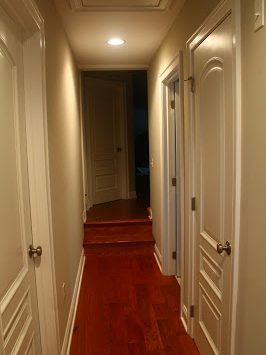 Our electricians added in light fixtures in the hallway to help light it up and our flooring team laid down hardwood flooring to give it that oh-so-classy sensation. 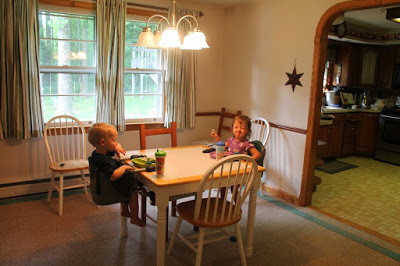 This was the dining room before the fire. 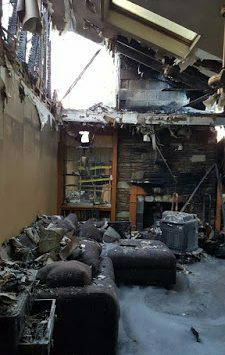 Renovated dining room after the fire. 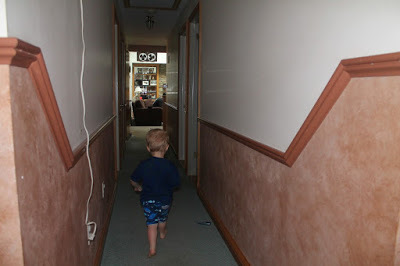 Here is the hallway before the fire. Redesigned living room after reconstruction. 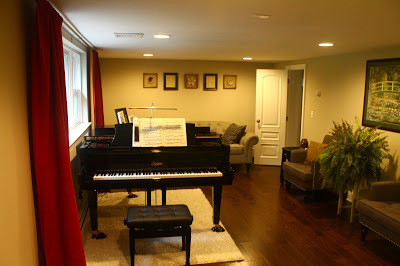 This is a picture of the piano room before the fire. 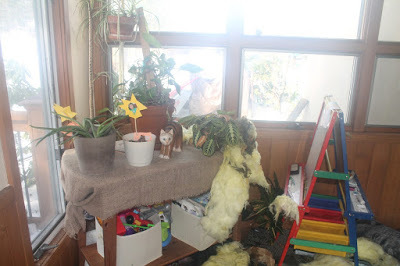 Here is a picture of the sun room after the fire and before the reconstruction. 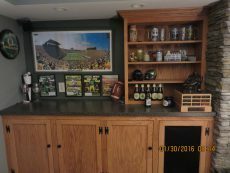 Another picture of the remodeled kitchen.